You can avail home loan top-up for your immediate financial needs such as interior decoration, purchase of furniture, home repair work or even for your personal needs such as marriage or your children's education. 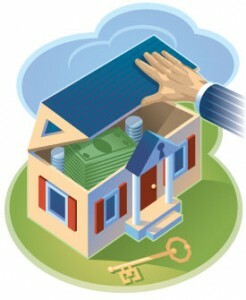 Top-up loans are available only for those who are already repaying a home loan. Also the eligibility is calculated based on different parameters such as your outstanding loan amount, your re-payment capacity and the market value of your property. * Loan taken from LICHFL? You can now reduce your home loan interest rate! Another important factor is your repayment history. If you are a defaulter don't even think of applying for a top-up loan. The process is quick if you are applying for a top-up in the same bank where you availed your home loan. Otherwise you will have to repeat the process you have done for your home loan. For top-up loans interest rate is much lower compared to personal loans. For State Bank of India, the interest rate is 11.25% at the time of writing. Also SBI offers top-up up to 2 Crores but the home loan availed should be at least 1 year old. Also there is no re-payment or pre-closure penalty! You can apply for top-up even if you have up to two home loans in your name. Private sector banks such as HDFC and ICICI Bank(the scheme is known as Home Plus) also offers home loan top-up, but eligibility criteria and other terms and conditions may differ. Contact your financial adviser or your bank to know more details on top-up loans. Keep in mind that there is no tax benefits like home loans for these top-up loans except in cases where the amount is used for property acquisition. Normally for top-up loans the payment tenure is same as the home loan tenure. Pre-payment may attract some penalty.